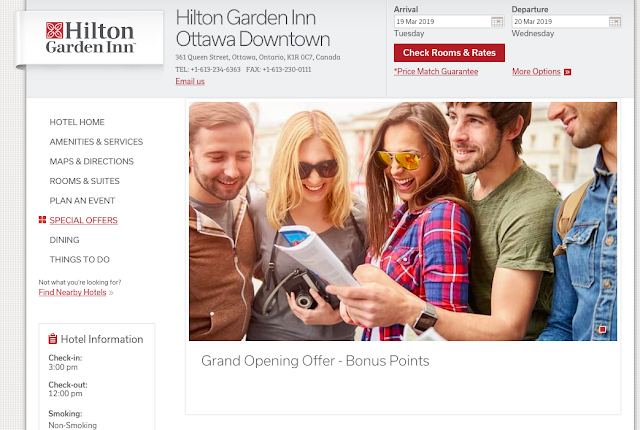 If you need a hotel in downtown Ottawa you may want to check out the recently opened Hilton Garden Inn or Homewood Suites Ottawa Downtown. Both properties are offering 1,000 bonus Honors points per night as part of a grand opening special! You can check out the offer for the Hilton Garden Inn here and for the Homewood Suites here. The Alaska Airlines Mileage Plan Buy Miles bonus that was to end on Sunday has been extended to today. You can still buy them with a 40% bonus until later tonight! Find out more here. Limited time left to apply for the BMO AIR MILES World Elite Mastercard and receive up to 3,000 bonus miles and a companion flight rebate!